Win An I'll Fight Day Poster! | Metro Youth Network | Connect. Experience. Grow. 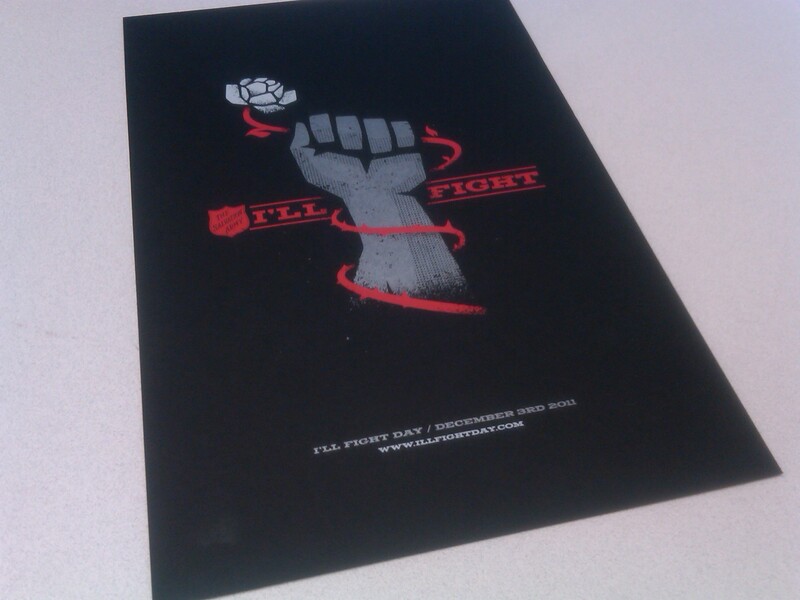 Home » Events » I'll Fight Day » Win An I’ll Fight Day Poster! Win An I’ll Fight Day Poster! 1. Head over to our Facebook Page, and find the post with the above picture (or just click here). 2. Comment on the picture, describing what you and your Corps’ youth group will be doing on Saturday, December 3, 2011 for I’ll Fight Day. 3. A winner will be chosen at random on Wednesday from the list of people who left comments. 4. We mail you a sick poster. 5. You enjoy said poster. It’s that simple! So, don’t delay. Comment and spread the word!